Since his arrival onto the Australian music scene last year, Canberra based hip-hop wunderkind KG has spent the last 12 months using his effortless flow and powerful storytelling ability to guide us through his narrative, and as a result illuminating us through his distinct perspective, especially so on his latest single ‘Change’. Drawing stimuli from his activist father Seretse Ratlhagane, a freedom fighter alongside Nelson Mandela, KG has adopted the same passion for justice, social equality and awareness of the issues that marginalised communities face, which is emphasised on the new release. Based around a groove-heavy beat that never stutters or lulls, ‘Change’ sees KG consistently serving up striking lyric after lyric, that hit all the harder with his incredibly impassioned delivery. The track reaches its tipping point at the bridge, with a warped voice repeating an equally confronting rhyme, and by the time the final chorus comes around, it’s clear that the weight of ‘Change’ will be sticking around long after the final beat. Trouble Juice was fortunate enough to chat to KG about some of the influences on ‘Change’. 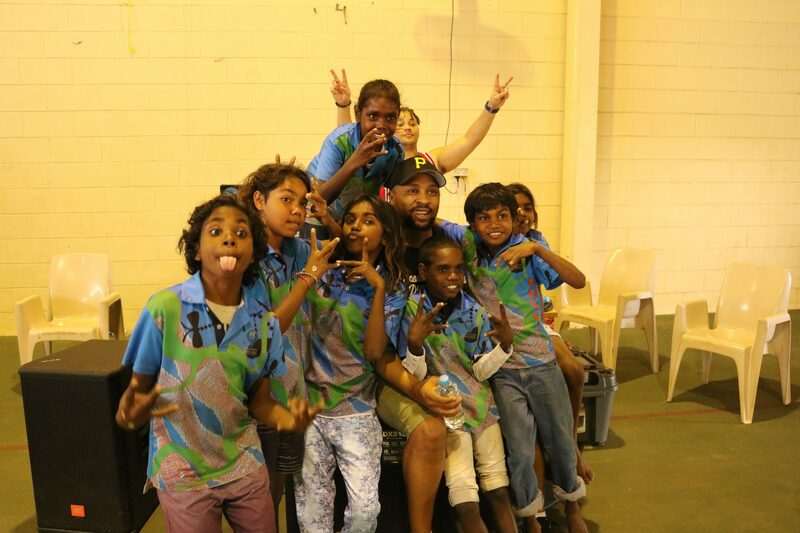 My trip to the Alice Springs this year to perform and teach dance for the Indigenous communities was an eye opening experience and really shaped the basis for what I was feeling when I wrote ‘Change’. Before the visit, I didn’t even know the kind of struggles and poverty that our own people experience, it was like being in a third world country. We neglect what’s going on in our own country, which was so sad for me to see. So many Aussies don’t even know how hard people have it or the kind of problems they face - it’s a whole different world from how many of us live. NT is by far the most beautiful place in Australia but at the same time you see and hear the most heartbreaking stories. The trip was spiritual and educational and confronting for me. It made me want to write a song with actual meaning, to help those struggling and to inspire people to make a good change in their own lives or those around them. Tell me how we gonna shape this vision/complaining all day/but in the same conditions/If you wanna make change/ it's gonna take commitment’. For me, this line was so powerful. For many black people, we live in a world where we still don’t have power but we really can’t have that power if we keep doing the same things . You see in Australia or other western countries, we glorify American rap or gang culture cause we think it’s cool but in reality the majority of black people are struggling and not enough people are addressing the issues. Crime and poverty are huge and we as black people keep complaining about it and saying we’re the minority, but we as the people need to realise it starts within our own communities, to make better choices and change the way we’re living. We need to end the stereotypes and rise above it all. I first wanted to call my single ‘Changes’ but out of respect of one of 2Pac’s greatest songs, I went with ‘Change’ instead. My song covers the same messages as Pac was trying to relay. We both talk about the struggles black people face or as I call it ‘systematic oppression’. So yes, we have faced many atrocities as a race that has certainly disadvantaged us but it’s now up to us as people to change the way we live for the better. We can’t just always make songs disguising the struggles and pretending we live these fresh lives with no problems. As musicians, at some point we have to say, hey enough is enough, I don’t want to see my people living like this anymore so I’m gonna write a song to actually inspire change and contribute to making peoples lives better. When I started writing in more of a political way to express my views on how things need to change, it was reading Mandela’s books and listening to him speak that inspired me to get into politics. What he went through by sacrificing his own life in going to prison to protest against racism and basic human rights gives me a huge inspiration to become a leader for my people. As I work with youth daily to help them better their lives, I’m a big advocate for education in young people. 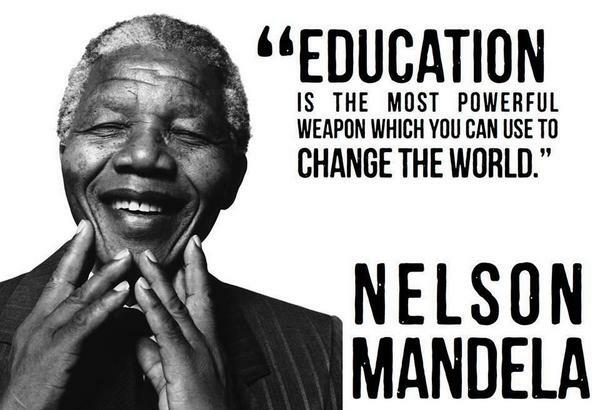 Mandela’s quote “Education is the most powerful weapon which you can use to change the world” makes me realise just how powerful education is. Knowledge contributes to development and progress of society, self empowerment, financial stability and minimises prejudice against gender or races - so it truly is the power we all need to change the world. Have a listen to 'Change' above, and catch KG performing at the African Music and Cultural Festival in Federation Square on December 8th.